Today, orthokeratology or corneal reshaping therapy is one of the most exciting technologies in vision correction and myopia management. How can a contact lens create changes within the eye? Soon after the introduction of early contact lenses, optometrists recognized the presence of the lens could influence the shape of the cornea. The theory that this could be a method for vision correction arose quickly, but it was not until the 1980s that repeatable, viable solutions entered the market. The advances offered by corneal topography, in which a computer creates a 3D model of a patient’s ocular surface, further enhanced the ability to offer lenses that matched the eyes closely. Orthokeratology (or Ortho-k) lenses offer a robust ability to help reduce nearsightedness (myopia). Typically worn at night during sleep, the lenses provide corrected vision upon removal. This temporary effect may last for up to several days, but continual use of the ortho-k lenses as prescribed will yield persistent vision improvements during daily activities. If a patient discontinues their use, no lasting changes remain, and the eyes will ultimately return to their natural state. Orthokeratology has been show to slow down the progression of myopia. For this reason, we are using orthokeratology as one of the three treatments for myopia management. For more information about slowing down the progression of myopia and our myopia management clinic, please click here. How do you obtain orthokeratology lenses? A comprehensive eye exam is the first step to determining if ortho-k lenses are the right option for a patient. Because ortho-k lenses typically only work to correct mild to moderate myopia, other lenses will be the best choice for some patients. During the exam, patients undergo a corneal topography scan, which is quick and pain-free. From this scan, the local eye doctor will design the lenses tomatch the shape of the eyes. Fitting orthokeratology contact lenses may take longer than typical contact lenses, and some patients will have to have changes made to their original lenses until the desired corrective effect occurs. How do you use and care for orthokeratology contacts? 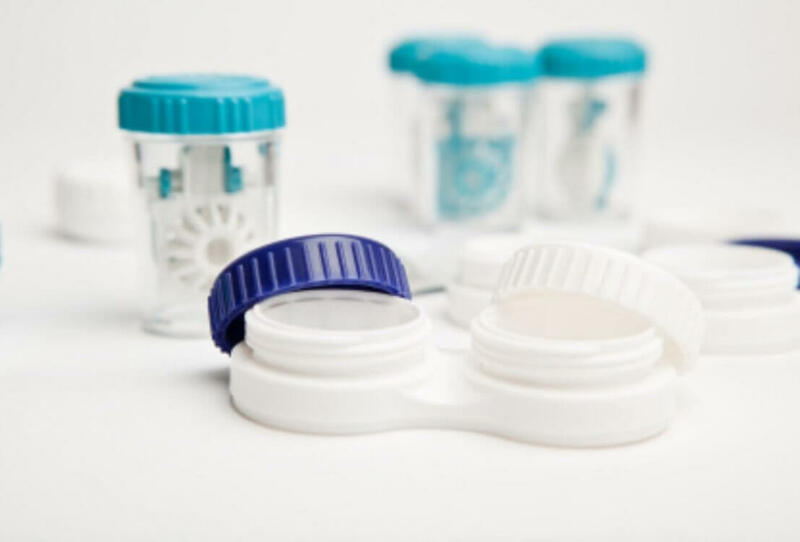 Inserting and removing ortho-k contact lenses is not challenging and will be taught when the lenses are dispensed. Your eye doctor can give you precise instructions, for inserting, removing and caring for your ortho-k lenses. After better vision is established, you may sometimes be able to scale back to wearing the lenses every other day. Follow-up appointments with the optometrist are important to see if any changes need to be made in the lens design. Patients ultimately receive “retainer” lenses that allow them to maintain correct vision for as long as they continue treatment. Ortho-k lenses offer unique advantages, and many individuals with myopia can experience benefits by wearing them. They aren’t always suitable for every patient. Because ocular conditions can vary so much from person to person, it’s important to explore these options carefully with your optometrist. If you’re a good candidate for orthokeratology, you could soon be able to enjoy vastly improved vision without ever worrying about wearing contact lenses (or your glasses) during the day again. 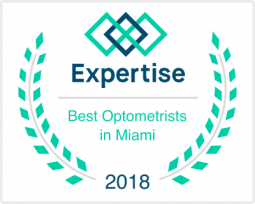 For more information about Orthokeratology lenses, please contact our Weston location at 2863 Executive Park Dr. #103 Weston, FL 33331 Phone: (954) 217-2992.